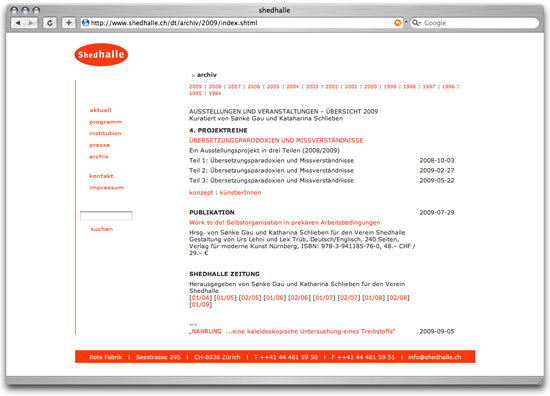 The Shedhalle documentation archive is a public access collection of representational material of previous exhibitions by the Shedhalle. This is, books, catalogues, fanzines, vinyl and CDs and numerous videos, as well as collections of flyer and collected texts. The videos are predominantly by artist and related groups of cultural producers.